In October 2017 the New York Times published a story detailing decades of alleged abuse by film executive Harvey Weinstein. The story marked a watershed, resulting in new stories of sexual harassment and workplace misconduct that spanned industries, including media organizations and newsrooms. 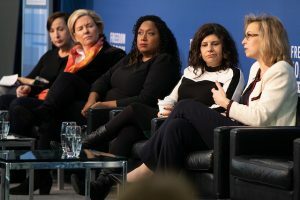 The Institute held the PowerShift Summit in January 2018 and the PowerShift Summit 2.0 in January 2019 to create a conversation around harassment and workplace integrity. 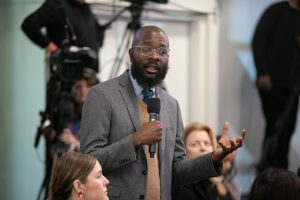 The summits each brought together more than 130 people, including newsroom leaders, journalists, professors and human resources leaders. “At the Summit we came away knowing that our tolerance in media organizations, not just of harassment and misconduct, but of discrimination and corrosive behavior, had really left a trail of damage in the news industry,” Trost said. It was clear that HR practices in their current format had failed and needed changing. Less clear, however, was how to repair the damage and prevent future misconduct and harassment. “This is a moment when there isn’t a clear playbook, and we’re trying to figure out as a company what do we do to address this?” NPR President of Operations Loren Mayor said in 2018. As allegations poured in, news organizations and media outlets began to look internally at their own practices and address their own issues. Many found that the issue was more complex than they’d initially thought. The complex nature of these issues meant that traditional online harassment training was not doing enough to prepare employees. “That kind of check-the-box, online training really doesn’t create the strength that an organization needs to transform its culture,” Trost said. 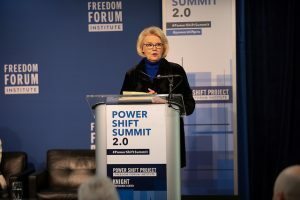 According to Trost, after the first PowerShift Summit it was clear that there was a desire for a new approach to creating and maintaining a positive work environment. 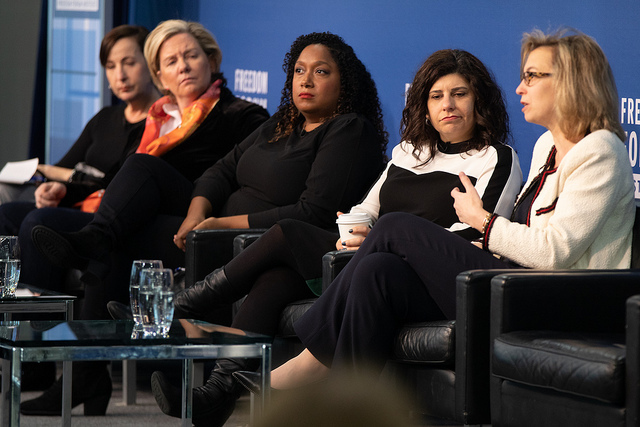 “There was a real demand for a new kind of curriculum, a new kind of training, to help media organizations create safer, but also more respectful and diverse cultures across newsrooms and the whole organizations,” she said. In response, the Freedom Forum Institute turned to Jill Geisler, a managing consultant with expertise in media organizations, to develop its Workplace Integrity Training. The training takes place over two days and uses critical thinking, creative role playing and group exercises. The goal of the training is to “teach ways to be both proactive and reactive, to not just illegal harassment and misconduct, but to the kind of behaviors that we know now can lead to it,” Trost said. News organizations send representatives to the workshop, where they practice teaching what they learn, so they can return to their own organizations to teach others. According to Trost, there have been four trainings and about 70 people have attended. At NPR, Mayor began what she called “listening sessions,” where she met with groups of 20 people or fewer to hear what was on employees’ minds. Staff members came forward and requested a peer-to-peer support group for people who had concerns about harassment and broader workplace issues. According to Sara Goo, managing editor at NPR, educating and training people throughout the company provided a new resource for them. “We function to both guide people who have harassment concerns, and also as a kind of heatmap of the company to monitor when we see issues that really need to be addressed,” she said. NPR worked with its legal and HR departments, as well as a consultant, to make sure their team was educated and well-prepared, according to Goo. Politico has looked to focus more on the environment they want, rather than just the basic legal requirements, according to Schweikert. This has meant going above legally required online training. Schweikert said they have begun having conversations that go beyond textbook policies, and instead focus on what things can look like on a day-to-day basis. While the industry continues to make changes, Trost said eventually workplace integrity will become the culture rather than the goal. The Center for Journalism Ethics encourages the highest standards in journalism ethics worldwide. We foster vigorous debate about ethical practices in journalism, and provide a resource for producers, consumers and students of journalism. Sign up for our quarterly newsletter here. Our spring conference “What #MeToo Means for Gender, Power & Ethical Journalism” will take place on Friday, April 26, in Madison, Wisconsin. More information and registration can be found here.